When each moment in your life is accounted for, you need a few days to breathe deeply and just be. As the Founder & CEO of POPxo, I power through each day and the day passes by like a bullet. Every once in a while, I need to pause and reflect. 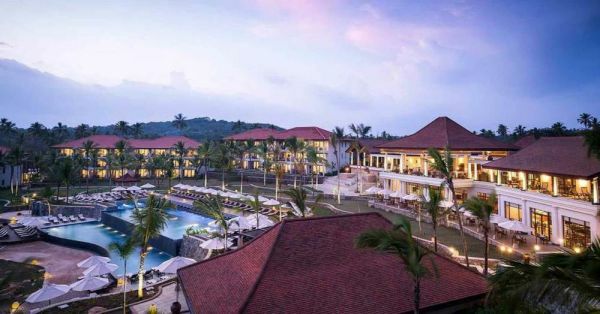 A few months ago, I took this breather at the tranquil Anantara Peace Haven Tangalle Resort in Sri Lanka with my family and the experience left me gratified. The beautiful resort, dotted on Sri Lanka’s virgin south coast, was my home for a week. It took us eight hours to get here on a combination of a plane, a car, and a hotel tuk-tuk, but the moment I laid my eyes on it, I knew it in my heart that it was worth it. Nestled in palms, the resort gives an infinite number of reasons to you to unwind. The Indian Ocean is a few steps from the resort, so the music of the waves was lulling me into a relaxed state. In the comfort of our Ocean View Villa, our life took another pace: one that was slower than what we have in the city. The villa was beautifully decorated with wooden furniture and the natural light seeped in through glass doors and windows. The local character is peppered through the villa and the balcony is the best spot if you want to soak up the sun. Our villa host had a great sense of humour: every time we came back to our villa, there was a little something to make us smile. The property features 152 rooms and pool villas, a luxury spa, a kids’ club, a stunning pool flanked by palms, and a fitness centre. If you’re planning a trip with your kids, make sure you ask about the turtle conservation project at Rekawa Beach close to the property. Your kids will also enjoy riding bicycles to get from the villa to the beach. To every epicurean’s delight, Anantara has six dining venues spread across the property. We would start our days with a delicious spread at Journeys, sitting by the poolside and enjoy the breeze from the ocean. At the moonlit beachside restaurant II Mare, we had the most memorable food experience. The chef prepared an Italian fare with bruschetta, risotto, onion rings, pizza, spaghetti, and pineapple sorbet. My trip included many poolside drinks with my laptop to keep me company (because a CEO is never off duty). The high tea at Lobby Lounge was a treat with Sri Lankan teas, freshly baked scones and local jams. Wine connoisseurs will definitely enjoy El Vino, which pairs tapas with wines. 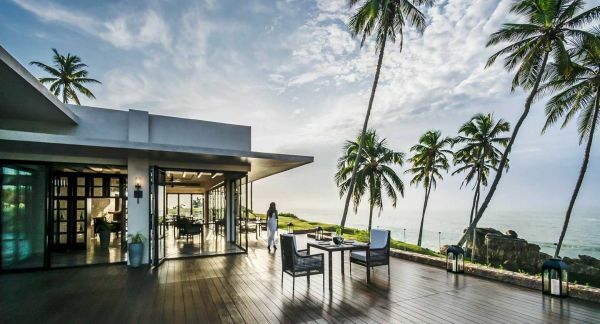 The beachside restaurant Verala serves Sri Lankan delicacies and the resort also customises private dining experiences for couples (think cliffside dining and barbeque on the beach). Anantara promises you a happy experience, I discovered. The views from any point of the resort are just lovely and take you closer to nature. Pair it up with an indulgent pampering session at the spa and you feel invigorated. But more than anything else, it was the warmth of its people that made us at home. My two kids were spoilt silly, with activities and experiences, and the smiles on their faces made me love the property all the more. As a goodbye, a beautiful peacock arrived at our villa and it wished us luck on our journey ahead.